Once upon a time there was an ice cream with a moustache called Tache Cream. He loved doing swimming and one day he drowned at the bottom of the ocean but swallowed some seaweed and he could suddenly breath. And then he got engaged to a mermaid and together they pulled the sea back and forward. And they danced every night at the bottom of the sea, and their swaying and their fro-ing made the waves go in and out and created the tide. To the light of the silvery moon. To the light of the silvery moon, yeah. So there was a Sea God called Fish Feng and a Rock God called Stone Stag and every day when the Sea God got angry the tide went out. The Rock God made Fish Feng angry by putting boulders in the sea to wind up Fish Feng. And whenever he's calm he breathes it in, the tide. A horse came down from the sky and splashed into the sea. Two massive boats came either side with men in each of the boats. The horse wanted to find out how to get the sea in and out, so they could eat all the food. The first man in the two boats said "you have to heave it". The other two said "blow it". The horse tried to heave it but it didn't work so he tried to blow it and now all the fishes can eat. Once there was a woman who was so clean her hair sparkled like diamonds. But one day evil Mud Man came along and made the woman's clothes dirty. Immediately the woman dipped her clothes in the sea and swished them around until they were sparkly again. Then the woman would hang her clothes on the washing line to dry. This made the tide go down. Every day the Mud Man did this and every day the woman washed and dried her clothes, but sometimes the woman washed her clothes twice just to be sure. This made a double high tide. 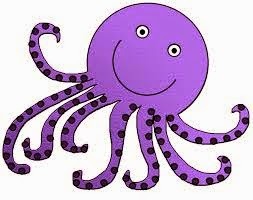 Well our idea was an octopus that pulls the sea back when he gets stressed because all the fish around him they stress him out, so he pulls the sea. It's the full moon, the fish like the full moon and they go all over the place, and they stress the octopus out. And the octopus pulls the sea back to make the tide happen. Once there was a gigantic creature who lived under the sea. It ventured through deep waters and went wherever it wanted to. Until one day two rocks fell on its arms and to this day it's continuously wriggling making the tide move in different directions.